I've become a bit of an Instagram afficionado of late, and like browsing a little here and there to see what folks are making and doing. That's how I came across Modern Calligraphy. 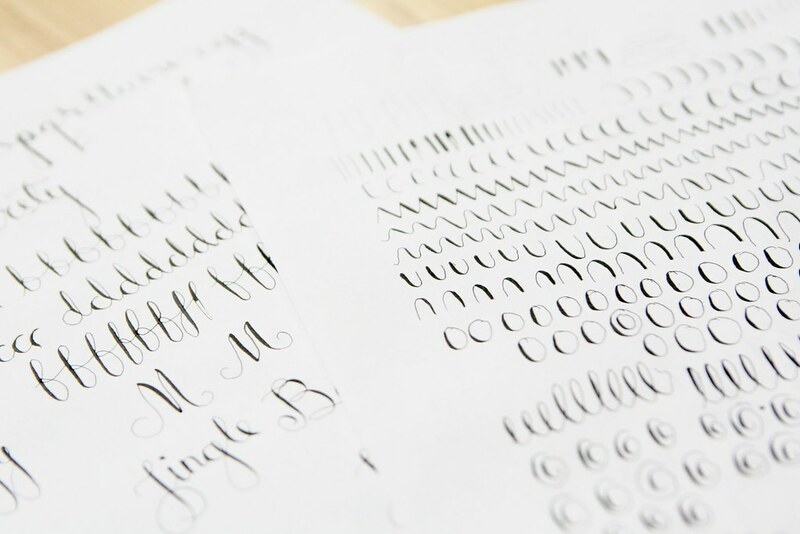 Calligraphy photos were beautiful to look at, through browsing this elegant script, I came across Lamplighter London, a small company which ran calligraphy workshops in, you guessed it, London. 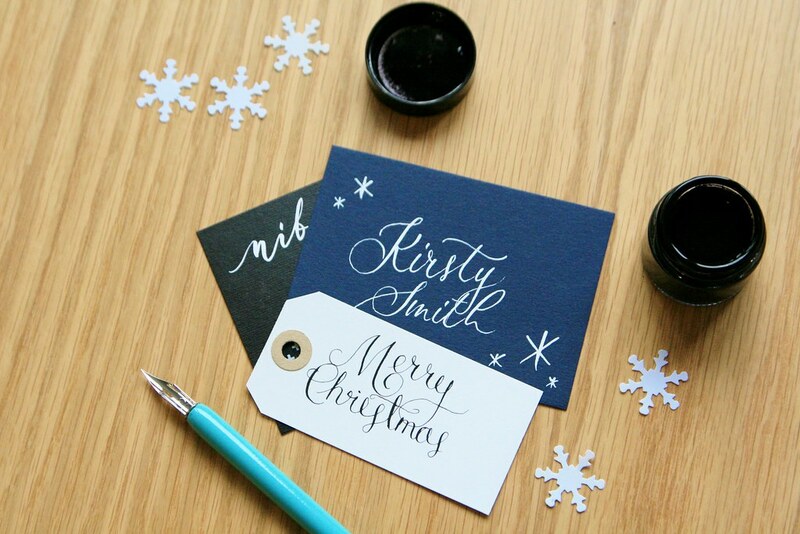 I signed up for their newsletter and back in October, I managed to snag a place on a special festive edition of the Beginners' Modern Calligraphy class. I like the sound of the class very much: it included all the equipment and materials which you could take home and keep, it covered 2 hours of instruction with a small class group of ten (and believe me, those ten spots sold out within a day of the class becoming available), and it included a delicious dinner afterwards, prepared by the tiny little restaurant 26 Grains in Covent Garden, which doubled as a venue for our class. Not to mention the nibbles. And Prosecco. And the care an attention to detail that meant we all received hand-written name cards. I found the course to be very meditative. It seems the trick is to go slow and really take your time with the shapes, which is often the opposite to the way we scrawl out notes in our busy lives. We learned how to manipulate the pen to create the beautiful variation in thickness, and we practised regular patterns and shapes which would eventually turn into letters and finally whole words. I was surprised by how much progress we were able to make in the two hours. Obviously I have a lot to practice, but I felt the class gave me a really good beginning: enough information to get me started and make me feel as though I know what to work on to improve. 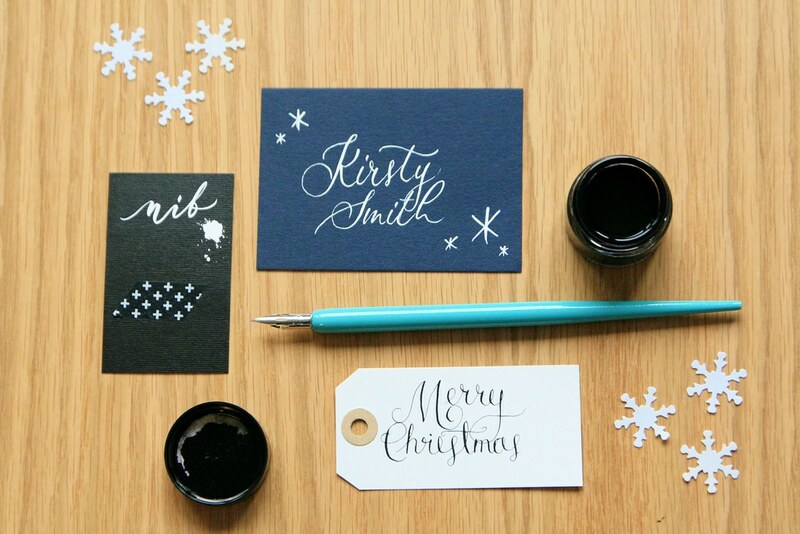 And we finished with a little flourish: I managed to inscribe 'Merry Christmas' onto a tag! 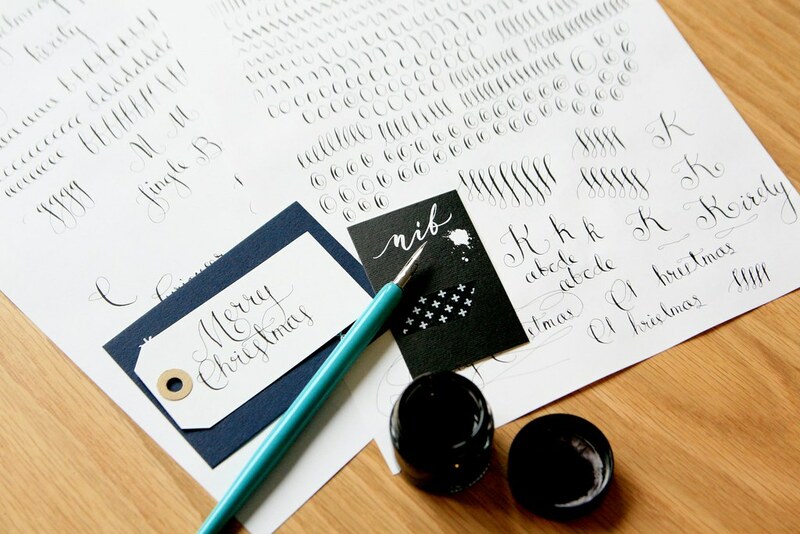 I'm really looking forward to getting to grips with this new skill over Christmas! Wait, you're called Kirsty Smith? I didn't put two and two together, I knew you were Kirsty and the blog says Miss Smith... Anyway, my daughter is a Kirsten and we have the same surname. The surname is common but not the first name!